Lisa Nordell-Detres is a mother of four, grandma to three boys, a pastor’s wife and has worked in the garment and customer service industries in southern California. Besides writing, Lisa enjoys cooking, sewing, organic gardening, hiking, skiing and doing most anything outside. Lisa is a member of the Central Oregon Writers Guild. In A Relationship- Draw near to God and He will draw near to you. (James 4:8). Carrie Vitt is the author of the successful cooking blog DeliciouslyOrganic.net and Deliciously Organic, a cookbook featuring unprocessed, organic ingredients. Motherhood Talk Radio with over 126 one-hour episodes gives listeners the opportunity to hear in-depth interviews conducted by host Sandra Beck with experts on the topics that concerns mother’s most: children, health, fitness, aging, wellness, education, safety and style. In 2014, Motherhood Talk Radio garnered 2,076,114 listens verified through Toginet Radio, Itunes and RSS Feed Syndication making it one of the most popular Motherhood Shows on the Internet Today. When women were rarely decision makers in business or agriculture, Susan Sokol Blosser, a pioneer in the Oregon wine industry, distinguished herself in both. For over three decades, Susan managed every aspect of the Sokol Blosser Winery operation. As vineyard manager from 1980-1990, she drove the tractor, did hand work (pruning, suckering, pulling leaves, and thinning the crop), and used a forklift to load grapes onto flatbed trucks. As president from 1991-2007, she saw Sokol Blosser grow to become one of the largest and most innovative Oregon wineries, with national and international distribution. Susan was a forerunner in instituting environmentally friendly business practices at Sokol Blosser and practicing the triple bottom line concept of people, planet, profit. With its certified organic vineyard, the first LEED (US Green Building Council’s certification) certified winery building in the US, and business practices based on the Natural Step model of sustainability, the winery made social responsibility and its environmental ethic priorities, while still pursuing its vision of producing remarkable wines. Then, at the height of her career, she did something rare in family businesses — she chose to transition control of the winery to her children. Not one to go quietly into retirement, Susan focused her energies on the local community, founding the Yamhill Enrichment Society (YES) in 2011. It was created, says Susan, “to enrich Yamhill County with projects in education and the arts, food and agriculture, history and community. YES strives to find innovation, creativity, collaboration and efficiency in all of its endeavors.” Susan holds a B.A. from Stanford University, a M.A.T. from Reed College, and an Honorary Doctorate of Public Service from the University of Portland, citing her entrepreneurship within the context of environmental and social responsibility. She’s received Lifetime Achievement Awards from Women for WineSense and the Oregon Wine Board and is a Lifetime Trustee of the Oregon Museum of Science and Industry and Marylhurst University. She and her husband, Russ Rosner, Sokol Blosser’s Winemaker Emeritus, live in a home at the vineyard with three cats, eight chickens and a Tibetan Terrier. After losing her daughter, Josephine Grace on December 14, 2012, she chose to take action as an advocate for improved school security and safety in our nation’s schools. Michele’s background as a teacher and involved parent, along with her personal loss and post tragedy perspective, have left her uniquely positioned to help school communities prevent tragedy, and better prepare and respond in the event of an emergency in their own schools. Michele holds a Bachelor of Science in Elementary Education from Towson University and a Master’s degree in Curriculum and Instruction from McDaniel College. She taught at the elementary level in Maryland and Virginia public schools before staying home to raise her three daughters and advocate for the special needs of her youngest daughter, Josephine. Michele is dedicated to honoring Josephine in her work to make schools in our country more safe and secure. To learn more how to keep your school safe and pass this site on to you teacher friends, room moms, teachers and administrators check out: safeandsoundschools.org. Kathy Kaehler is America’s go-to resource for the best in knowledge, products and programs, captivating audiences across the country with her exceptional combination of unparalleled knowledge and real-world experience. Gail is a Certified Angel Communication Practitioner and is a Doreen Virtue-certified Angel Card Reader as well a level two Reiki practioner. She is a certified professional Mediator and Conflict Resolution specialist. By following the guidance of her heart and her angels Gail additionally created a children’s shoe company, called Kazowe Shoes Inc. which is a message driven company to inspire children to love their footprints they leave in the world, and to celebrate the individuals who raise, teach, mentor, and motivate today’s children to become tomorrow’s leaders. She is an adoptive mother of 3 children born in china who considers her children to be her greatest teachers. 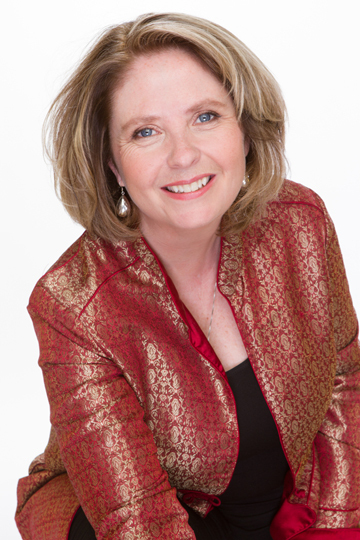 Gail wanted to take her message further and wider though so she developed Spiritual Girlfriend an online radio show to help the spiritually hungry connect with their own divine wisdom, worthiness, courage and joy. Many women are hungry for change and substance in their lives, but the familiarity of routine, engrained behaviours and the normalacy of living unconscious all make the leap seem huge. The answer though is simpler then you think.